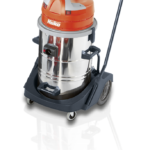 A high performance wet and dry vacuum cleaner suitable for industrial use. The stainless steel hopper and three bypass cooled vacuum motors guarantee a long operating life. 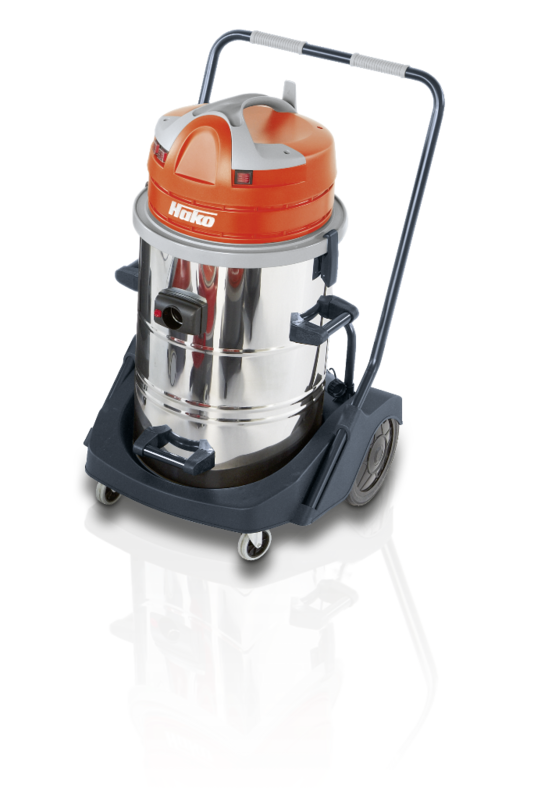 3 x 1,200 Watts (3600 total) of power cleans away dust, splints, turnings, oily fibers and fluids. A super innovative draining of fluids through a tilting mechanism on the chassis and an additional draining hose. Antibacterial purification of waste air through Sanifilter.